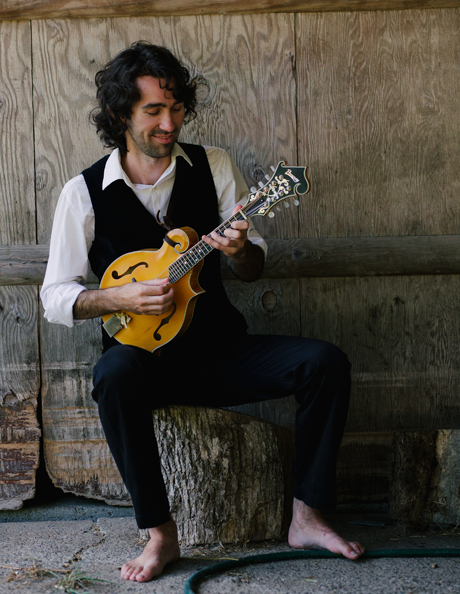 Jack Dwyer is a multi-instrumentalist, singer/songwriter, and teacher based in Portland, OR. Raised in an Alaskan family bluegrass band and seasoned on the stages of various New York City and Hudson Valley music clubs, Jack found an early calling as a fast-pickin' bluegrass mandolinist and performed close to a thousand shows before leaving home at age 18, appearing onstage with the likes of Peter Rowan, Bill Keith, Jay Ungar and Molly Mason, the Mammals, and various NE-based bands. Since then he has kept up an impressive pace of performing, writing, and recording, appearing with various Northwest and nationally based musicians including Scott Law, Tony Furtado, Darol Anger, Larry Keel, Andy Thorn, Sam Grisman, Luke Price, Mike and Ruthy, Jesse Cobb, Don Stiernberg, Mike Marshall and others. When not performing at prominent national festivals like Wintergrass (WA), String Summit (OR), Pickathon (OR), and the Shakori Hills Grassroots Festival (NC), or teaching on staff at traditional music workshops like the Festival of American Fiddle Tunes (WA), The Mandolin Symposium (CA), and the Alaska City Folk Arts Camp (AK), Jack is holed up at home churning out original songs, teaching private lessons and adding to his growing catalog of music instructional books, or in the studio recording his latest album. He also works on the adjunct music faculty of Lewis and Clark College. In addition to his varied sidework, Jack is a bandleader (Jack Dwyer Band) and a talented solo performer. His shows move seamlessly through country classics, swing jazz, honky tonk blues, bluegrass, bouncy bayou-flavored gems, and original songs written in all these styles. A product of his roots music background, he has created an ever-growing catalog of original music inspired by and written for various traditional American music canons. Past projects include Mando Planet, a 2013 collection of instrumental world music mandolin duets, in collaboration with fellow Portland mandolinist Tim Connell. 2015 was another busy year and saw the release of "Jack Dwyer Band, Live In Portland" (a 17-song live album of original and traditional music) and more recording work on Scott Law's latest acoustic album. Jack ended the year back in studio and finished tracking two new albums: an 11-song studio album featuring more original music by the Jack Dwyer Band, and an all-traditional bluegrass album featuring Portland pickers Sam Weiss (Caleb Klauder Country Band), Gordon Keepers, Billy Failing (now based in Nashville), and Bobby Winstead.